In most use cases the best way to install NumPy on your system is by using an installable binary package for your operating system. Most of the major distributions provide packages for NumPy, but these can lag behind the most recent NumPy release. 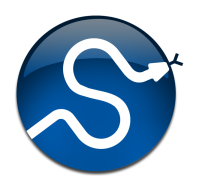 Pre-built binary packages for Ubuntu are available on the scipy ppa. Redhat binaries are available in the EPD. A universal binary installer for NumPy is available from the download site. The EPD provides NumPy binaries. A general overview of building NumPy from source is given here, with detailed instructions for specific platforms given seperately. Make sure that the Python package distutils is installed before continuing. For example, in Debian GNU/Linux, distutils is included in the python-dev package. Python must also be compiled with the zlib module enabled. To build any extension modules for Python, you’ll need a C compiler. Various NumPy modules use FORTRAN 77 libraries, so you’ll also need a FORTRAN 77 compiler installed. Note that NumPy is developed mainly using GNU compilers. Compilers from other vendors such as Intel, Absoft, Sun, NAG, Compaq, Vast, Porland, Lahey, HP, IBM, Microsoft are only supported in the form of community feedback, and may not work out of the box. GCC 3.x (and later) compilers are recommended. NumPy does not require any external linear algebra libraries to be installed. However, if these are available, NumPy’s setup script can detect them and use them for building. A number of different LAPACK library setups can be used, including optimized LAPACK libraries such as ATLAS, MKL or the Accelerate/vecLib framework on OS X. The two most popular open source fortran compilers are g77 and gfortran. Unfortunately, they are not ABI compatible, which means that concretely you should avoid mixing libraries built with one with another. In particular, if your blas/lapack/atlas is built with g77, you must use g77 when building numpy and scipy; on the contrary, if your atlas is built with gfortran, you must build numpy/scipy with gfortran. This applies for most other cases where different FORTRAN compilers might have been used. One relatively simple and reliable way to check for the compiler used to build a library is to use ldd on the library. If libg2c.so is a dependency, this means that g77 has been used. If libgfortran.so is a a dependency, gfortran has been used. If both are dependencies, this means both have been used, which is almost always a very bad idea. This package is not available on amd64 platforms. NOTE: Ubuntu changed its default fortran compiler from g77 in Hardy to gfortran in Intrepid. If you are building ATLAS from source and are upgrading from Hardy to Intrepid or later versions, you should rebuild everything from scratch, including lapack. © Copyright 2008-2009, The Scipy community. Last updated on Jul 21, 2010. Created using Sphinx 1.0.